Charlie Stewart, aka Chali 2na is an American rapper and hip hop artist, formerly associated with the groups Jurassic 5 and Ozomatli. When he was young, he moved to South Central Los Angeles, which was the home base of Jurassic 5 since 1993. He and Cut Chemist became friends in high school and together with Mark 7even, they were part of a seven-man group called Unity Committee. They were, along with another three-person troupe, called the Rebels of Rhythm. The two crews also appreciated one another's styles, and they teamed to record "Unified Rebelution", in 1995. The Rebels of Rhythm were MCs Akil and Zaakir (also known as Soup); the men banded together to form Jurassic 5. In 2006, Cut Chemist elected to split from the group to pursue a solo career, and the Jurassic 5 group split up altogether in 2007. 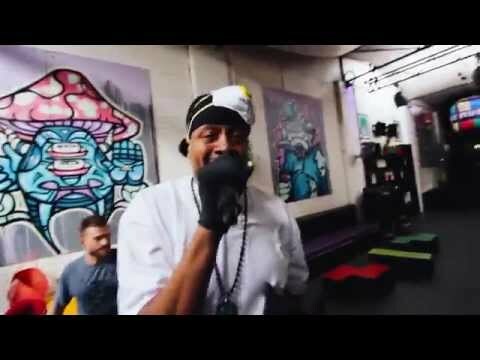 Chali 2NA's new solo album, Fish Outta Water, showcases his familiar rapid-fire flow in his lyrics, and professes his unwavering dedication to hip hop culture, insulting rappers who neglect to pay proper respect to pioneers like Kool Herc and Afrika Bambaataa. 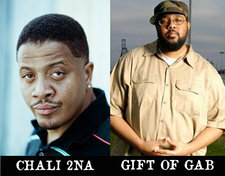 Old School Hip Hop Legends will be in the house. This show cannot be missed.